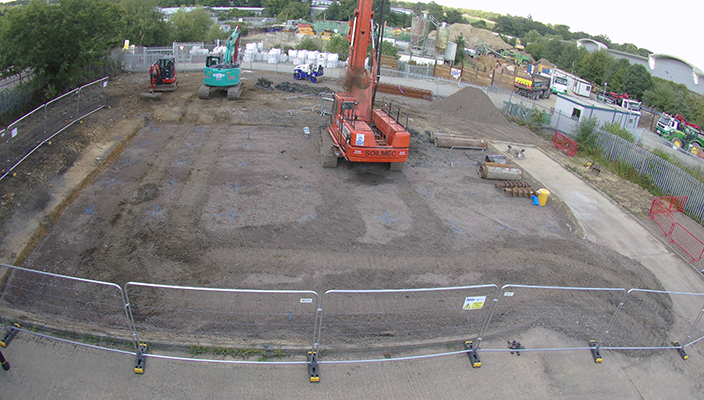 In June, Solutions received a call from Costain about a construction project as part of their waterworks site in Tunbridge Wells. 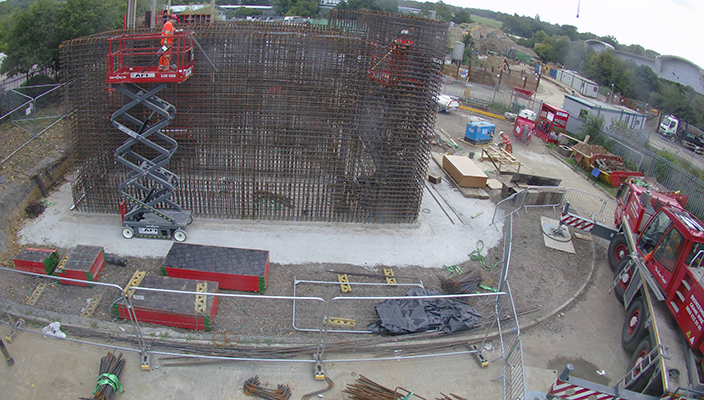 Costain (or CMDP) wanted to film the build over six months so as to create video footage of the construction which could then be used as a project management tool and PR material. Solutions won the pitch and immediately went about sourcing the correct storm and weather proof camera, working in liaison with CMDP and their site plans to position the camera. 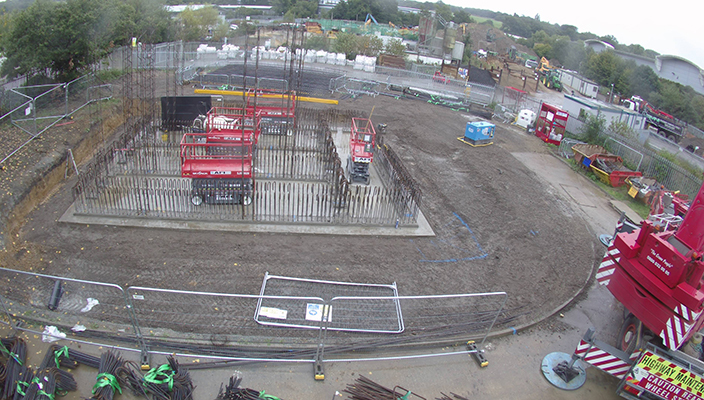 Due to the nature of the build site, the camera needed to be positioned at roughly 10m in height so as to overlook the build site and then be repositioned half way through the build to capture the work as it developed. The camera is attached to a specially erected scaffolding structure for safety and security and is powered over the Ethernet. Images are captured on a regular daily schedule onto a 4G M2M SIM card and automatically uploaded to cloud storage where they could then be monitored and/or downloaded via a password protected portal (enabling viewing of images in realtime). A time-lapse video can be created at any time during the project once the images start uploading to the cloud.